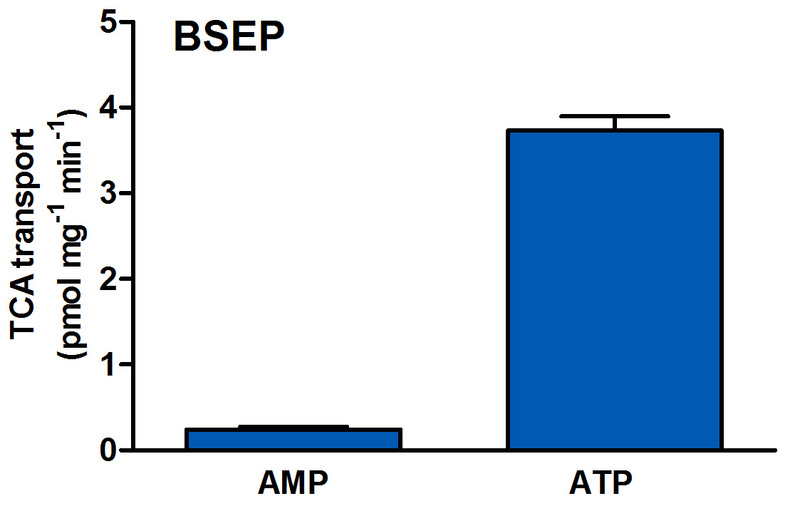 BSEP vesicles with an ATP/AMP ratio >10 are readily available from PharmTox. Name: BSEP, Bile Salt Export Pump, ATP-binding cassette sub-family B member 11, ABCB11. Diseases: inherited and drug-induced cholestasis. BSEP substrates: taurocholate, pravastatin, taurolitocholyl 3-sulfate, conjugated monovalent bile salts. BSEP is present in: canalicular plasma membrane of hepatocytes. In stock: human, cat, and dog BSEP. Available: mouse and rat BSEP.